LAMBTON, John George (1792-1840), of Lambton Hall, co. Dur. b. 12 Apr. 1792, 1st s. of William Henry Lambton* of Lambton by Lady Anne Barbara Frances Villiers, da. of George Bussy Villiers†, 4th Earl of Jersey. educ. by Dr Thomas Beddoes of Clifton 1798-1805; Eton 1805-8. m. (1) 1 Jan. 1812 at Gretna Green, Harriet (d. 11 July 1815), illegit. da. of George James Cholmondeley, 4th Earl of Cholmondeley, 3da. ; (2) 9 Dec. 1816, Lady Louisa Elizabeth Grey, da. of Charles Grey*, 2nd Earl Grey, 2s. 3da. suc. fa. 1797; cr. Baron Durham 29 Jan. 1828; Earl of Durham 23 Mar. 1833; GCB 27 June 1837. Cornet 10 Drag. 1809, lt. 1810, ret. 1811. Ld. privy seal Nov. 1830-Mar. 1833; PC 22 Nov. 1830; spec. mission to Prussia, Russia and Austria 1832; ambassador extraordinary to Russia 1835-7; gov.-gen. Canada Jan.-Dec. 1838. Lambton was elected to Brooks’s on 5 Apr. 1814, voted to censure the Speaker for his anti-Catholic prorogation speech, 22 Apr., and delivered his maiden speech as the seconder of Williams Wynn’s motion condemning the blockade of Norway, 12 May, when he spoke of ‘a magnanimous people offered up on the altar of diplomatic convenience’. He presented a Sunderland petition against alteration of the Corn Laws, 7 June, and voted against the expulsion of Lord Cochrane, 5 July. On the treaties concerning Sicily, Naples and Saxony, 25 Nov. 1814, he deplored ‘the acts of rapine and aggression of the club of confederated monarchs at Vienna’, and on 21 Feb. 1815 moved for papers relating to the ‘criminal’ transfer of Genoa to Sardinia, but was defeated by 115 to 66. He voted against the embodiment of the militia in peacetime, 28 Nov. 1814 and 28 Feb. 1815, was in the opposition minorities on the Spanish Liberals, 1 Mar., Bank restriction, 2 and 9 Mar., and steadily opposed the corn bill in March. On 6 Mar. he complained that the house was surrounded by troops called out to deal with disturbances caused by anti-corn bill demonstrators. When the House went into committee he lodged a formal protest and, although he subsequently expressed satisfaction with the official explanation of the troops’ presence, he vindicated his motives in raising the matter. He voted against the proposed new taxes and the retention of the property tax, 13 Mar., 19 and 20 Apr., the prospect of a resumption of hostilities with France, 7 Apr., and for inquiry into the civil list accounts, 14 Apr. Our being at present below par with the people, I mean the real people not the rabble, is, I think, owing in great measure to our supineness and want of union among ourselves, which has prevented us from taking any decided line. The Grenvilles! The Grenvilles! has always been the watchword to prevent our taking any step that could identify our cause with that of the people. wild, foolish and disgusting principles ... which were founded upon the subversion of our constitution, upon the destruction of social order, and of all that was wise, permanent and useful in our invaluable system of law and government. There are many who only co-operate because they have confidence in you personally, and there is a very strong party who have serious objections to Tierney's wavering and indecisive system, in whose hands, were you to withdraw, the whole thing would be placed ... if you were to announce your entire withdrawing ... we should be split into five or six parties ... even I received an offer the other day to form a party, from persons of rank and consequences who declared they had perfect confidence in me and that they had not in Tierney. 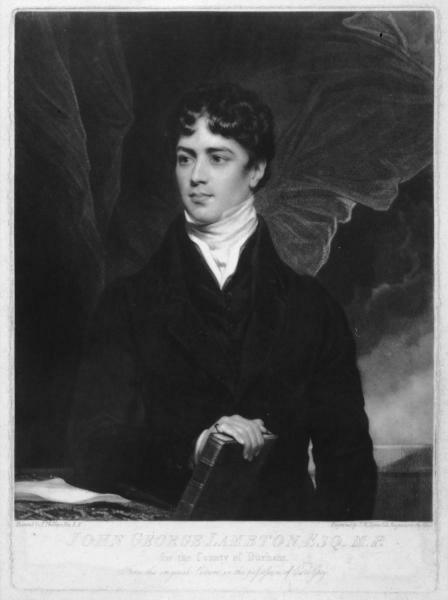 When Parliament reconvened Lambton spoke in support of a reform petition, 8 Apr., went to Newmarket and returned in response to Brougham's urgent summons for the debate on the Duke of Clarence's allowance, 14 Apr., only to find the House up. When the business came on the following day he declared his opposition to the grant in toto and moved a killing amendment, but he did not press it and voted for Sumner's successful amendment to reduce the grant.18 He presented a booksellers' petition complaining of the Copyright Act, 17 Apr., paired for the repeal of the Irish window tax, 21 Apr., was in the minorities on the purchase of the Burney library, 24 Apr., and the resumption of cash payments, 1 May, and supported Peel's cotton factories bill, 27 Apr. 1818. He denounced the aliens bill, 5 May, moved unsuccessfully for papers concerning it, 7 May, and led the opposition to its second reading, 15 May, when he attacked it as part of a general European conspiracy against liberalism. He voted against the Duke of Kent's marriage grant, 15 May, and for Brougham's motion on education, 3 June, but not for Heron's motion for the repeal of the Septennial Act, 19 May. As I understand the matter they want to appoint a manager or head in the House of Commons, you being the leader of the Whigs of England. For if I thought you had abdicated that supremacy ... which nominally alone keeps us together, I should make a point, the first day of Parliament, of declaring my entire disconnexion with the party of which Tierney is to be the manager ... I consider Tierney to be unfit even for the secondary duties of that office. He is most timid and vacillating and ever abandoning the great prinicples of our policy or at least softening them down so as to be imperceptible in order to gain the support of such wretches as the Grenvilles ... He is besides too much of a placehunter for me. I know well that from the moment of his appointment all activity and energy will cease. His health gave cause for alarm later in the year, with an intensification of the agonizing neuralgic headaches to which he was always prey after exertion or agitation. When he went to London in January 1819, with typical frankness he told Tierney, whom he had wrongly suspected earlier of intriguing against Grey's leadership, of his reservations about his appointment as leader, but promised him every assistance. He tried to organize a party committee to superintend the press and to set up weekly meetings to keep the new Members together and helped Tierney to arrange 'a great opposition dinner'.20 He gave a silent vote for Tierney's motion on Bank restriction, 2 Feb., and was present in the opposition lobby for most of the divisions from then until Easter, including that on Scottish burgh reform, 1 Apr., but spoke infrequently and briefly. He was named as one of the Members to examine the lists of nominees for the committee of inquiry into the Bank question, 3 Feb., but refused to do so because he argued, its compositon had already been settled by ministers. He favoured investigation of the coal duties by a committee, 4 Mar., called for their equalization the following day for the benefit of consumers, presented a petition from London booksellers for repeal of the Copyright Act, 22 Mar., unsuccessfully tried to have Thomas Goold, a witness in the Wyndham Quin* affair, taken into custody for prevarication, 30 Mar., and on 2 Apr. raised the case of General Gourgaud, a victim of arrest under the Alien Act. 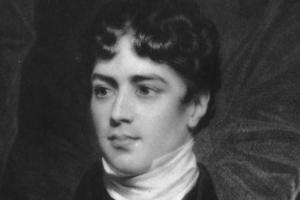 On the death of Romilly in November 1818 Lambton had initially favoured putting up a Whig candidate for Westminster in his place, but he eventually promised his vote to the radical candidate for Westminster in his place, but he eventually promised his vote to the radical candidate John Cam Hobhouse†, though he warned him that he could not actively support him if he espoused the 'foolish' and 'dangerous' principles of annual parliaments and universal suffrage, or condoned the radicals' abuse of Grey, and the Whigs at the last Westminster election. At a Fox dinner in January 1819 he, with Grey, attacked the radicals and when they provoked the Whigs into starting George Lamb as their candidate on the eve of the election in February, he became one of his most active campaigners, having remonstrated personally with Hobhouse and withdrawn his support. He rejoiced in Lamb's success as 'a death blow' to the Westminster radical 'rump'.21 Lord Holland later wrote that Lambton annoyed Tierney during the 1819 session by boycotting party meetings at Burlington House because of 'some private quarrel with Lord G. Cavendish', but no supporting evidence has been found.22 His only known speech after the recess was for the repeal of the coal duties, 20 May, and his voting record suggests a somewhat spasmodic attendance. He did not vote for Burdett's parliamentary reform motion, 1 July 1819. I suppose I shall see you at the meeting of Parliament. For God's sake, keep a moderate tone. You ruin all if you are violent, for be assured there are equally individuals, not large bodies, harbouring revolutionary designs, as there are those who are pursuing despotic ones. Lambton went to London for the emergency session of Parliament, voted for the amendment to the address, 24 Nov., and for inquiry into the state of the nation, 30 Nov. 1819, and steadily against the ensuing repressive measures. The burden of his speeches of 3, 9 and 10 Dec. was that allegations of widespread unrest and preparations for armed rebellion in the north east were completely unfounded. His motion of 14 Dec. to exclude Durham from the provisions of the seizure of arms bill was negatived, and his attempt to kill the measure at the report stage, 15 Dec., defeated by 94 votes to 38. He angrily refused to allow Castlereagh to class him with the radical reformers, 10 Dec., but on 16 Dec., presenting a petition for reparation from a victim of Peterloo, also gave the lie to allegations that he had dismissed employees in his colleries because of their radical sympathies. As for myself, ... [Holland's] language respecting my motion ... was such that I never will forgive it. Doubtless all this will end in my complete separation from the party. I should not care for that, were you not at the head of it. From any of the others I never received a particle of attention or consideration. He has not much merit but his looks, his property and his voice and power of public speaking. He has not the slightest power or turn for conversation, and would like to live exculsively on the flattery of toadies. He died 28 July 1840. See S. J. Reid, Life and Letters of Lord Durham, 2 vols. (1906); C. W. New, Lord Durham (1929); and L. Cooper, Radical Jack (1959). 1. Reid, i. 38-65; New, 1-9; NLW mss 2791. 2. Grey mss; Blair Adam mss, Russell to Adam, 2 Dec. .
3. See D. Spring, ‘Earls of Durham and Great Northern Coalfield’, Canadian Hist. Rev. xxxiii (1952), 237-53. 4. Reid, i. 67-69; Losh Diaries (Surtees Soc. clxxi), i. 27. 5. CJ, lxx. 253, 308; Reid, i. 80-85, 111-12; Grey mss, Holland to Grey [15 Aug.], Grey to Holland, 6 Oct. 1815; Add. 30108, f. 108; New, 11-12. 6. Grey mss, Monck to Grey, 19 Feb. 1816. 7. Ibid. Tierney to Grey, 10 Feb. 1816. 8. Romilly, Mems. iii. 260; CJ, lxxi. 451, 520; Reid, i. 86-89; New, 13-14. 9. Reid, i. 93-94; Cooper, 56; Sydney Smith Letters ed. N. C. Smith, i. 267. 10. Lambton mss, Wilson to Lambton, 23 Oct. 1816; Grey mss, Lambton to Grey, 17 Dec. 1816, 15, 18 Jan. 1817. 11. HMC Fortescue, x. 427; Brougham mss, Brougham to Grey [19 Mar. 1817]. 12. Carlisle mss, Abercromby to Morpeth [May 1817]; Heron, Notes (1851), 84; Canning and his Friends, ii. 53-54. 13. Bagot mss, Lyttelton to Bagot, 4 June 1817. 14. Grey mss, Lambton to Grey, 30 June 1817. 15. Grey mss, Grey to Lady Holland, 20 Feb.; Lambton mss, Wilson to Lambton, 23, 27 Feb., Brougham to Lambton, [Feb.] 1818. 16. Grey mss, Lambton to Grey, 6, 10, , 22 Mar. 1818. 17. Ibid. Lambton to Grey, 26 Mar., 6 Apr. 1818; Reid, i. 105-6. 18. Grey mss, Lambton to Grey, 17 Apr. .
19. New, 21-22; Reid, i. 106-7; Add. 30108, ff. 17, 19; Grey mss, Duncannon to Grey, 13 July, Lambton to Grey, , 21 July; Brougham mss, Brougham to Lambton, [30 July]; Add. 51565, Brougham to Lady Holland, [28 July], [10 Aug.] 1818. 20. Gery mss, Lambton to Grey, 11 Nov. 1818, 14, , 21, 29, 30 Jan., 3 Feb. 1819. 21. New, 44-45; Grey mss, Lambton to Grey, 11, 21 Nov. 1818, 12, 13 Feb., 2, 3 Mar. 1819, to Hobhouse, 9 Dec. 1818; Add. 56540, Hobhouse diary, 12, 17 Dec. 1818, 12 Feb. 1819. 22. Further Mems. Whig Party, 267. 23. Grey mss, Lambton to Grey, 23 Aug., 4, , , 16, 22 Oct., to Milburne, 27 Sept.; Newcastle Chron. 16, 23 Oct. 1819; Reid, i. 125-6; New, 52-53; Phillpotts, Letter to Freeholders, 31; Add. 30108, f. 34; 30109, ff. 58, 78. 24. Add. 51549, Grey to Lady Holland, [Dec. 1819]; Grey mss, Lambton to Grey, , 10 Jan. 1820; Reid, i. 129-31; New, 57-58. 25. Losh Diaries, i. 72; Creevey Pprs. ed. Maxwell, ii. 49-50; Grey mss, Grey to his wife, 10 Feb. 1821.